Crossroads welcomed the talented Autumn Rhodes and Darcy Noonan and the high-stepping Brosnan School of Irish Dance to the Children’s Hour, a perennial Festival favorite. Since 2010, Autumn Rhodes and Darcy Noonan (of The Jammy Dodgers) have been bringing traditional Irish music with a novel twist to the Bay Area and beyond. From the high-energy driving rhythm of Irish jigs and reels to slower-paced airs and sean-nós (‘old style’) songs (sung in both Irish and English), they stay well in touch with the roots of the music, while infusing it with their own special style. 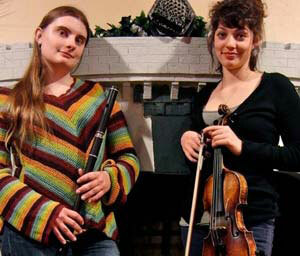 The duo played and explained several instruments, including fiddle, Irish flute, concertina, and tin whistle. Children also had the chance to learn and sing along to a few Irish Gaelic children’s songs. The Brosnan School of Irish Dance performed jigs, reels, and other high-kicking steps! Crossroads’ 10th Anniversary launched with the U.S. Premiere of a documentary film, Nights in Shanaglish, a unique project focused on the culture of traditional Irish music sessions and the making of an album in Shanaglish, County Galway, Ireland. Vincey Keehan, a native of Shanaglish who has lived in San Francisco for more than 30 years, brought this project to life along with Paddy Egan of County Wicklow. The film, directed by Firgus Tighe, focuses on the process of recording live performances and captures the connection between performers, pub owner, and local characters. Live music before the film is shown. A special thanks to the Friends of the San Francisco Public Library for their partial support of events on this day. Crossroads and the California Historical Society presented this first-ever exhibit and dramatic reading based on the writings of two emigrants to San Francisco who survived An Gorta Mór (The Great Hunger/Famine) and lived in San Francisco from 1849 -1880s. Dramatic readers Renée Gibbons and Tom McCarthy read selections from the diaries. Harp music provided by Mitch Landy. Readings directed by Elizabeth Creely. A special night celebrated the US release of a unique multi-media recording. 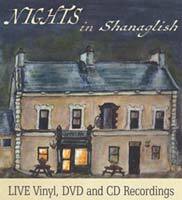 Nights in Shanaglish is a production featuring song, music, story and dance documented during a series of live session recordings in Whelan’s Pub in Shanaglish, Co. Galway, Ireland. The project includes a CD and old-time vinyl album of the live recordings as well as a documentary film about the making of these recordings. Live performance featured producers Vincey Keehan and Paddy Egan as well as musicians and performers Niall Finnigan, Rosie Keehan, Anthony McGrath, Paul O’Driscoll, Brian O’Halloran, and Mary Noonan, all visiting from Co. Galway, Ireland. Another remarkable night of music at the Crossroads features virtuoso flute and whistle player, Laurence Nugent, performed along with Wicklow concertina player, Paddy Egan. One of Irish music’s recognized master musicians. —Irish Music Magazine. Laurence Nugent is a virtuoso All-Ireland winning champion of the flute and tin whistle from county Fermanagh in Northern Ireland. He took first prize in a number of competitions in the late 80’s before going on to win the senior All-Ireland Championships in 1994 and 1995 at the Fleadh Cheoil na hÉireann, the All-Ireland Music Festival, one of the largest festivals in Europe. A well established performer on the Celtic music scene, Laurence has toured throughout the U.S, Europe, and Japan over the last two decades performing with scores of musicians including: The Chieftains, Shane McGowan, Van Morrison, Derek Warfield and the Young Wolftones, Liam O Maonlai of the Hothouse Flowers, Kevin Burke, Liz Carroll, Martin Hayes, Dennis Cahill, Paddy Keenan, and Arty McGlynn. Paddy Egan was born in Parkbridge, near Shillelagh in the foothills of the Wicklow mountains. He has played the concertina since he was seven years old. He has often times travelled out to the Bay area to meet and with many of the local musicians over the years. At the moment, he is studying for his PhD at King’s College, London, where he is exploring the connection between music and memory in repatriated collections of sound. Crossroads was pleased to partner with the Patrick J. Dowling Library at the United Irish Cultural Center to explore Irish American stories with this facilitated workshop by Margaret Cooley, author and educator. 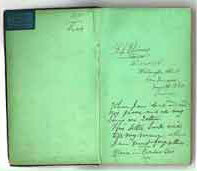 Sometimes all we have left of our ancestors is a photograph, a marriage record or a Mass card. Margaret Cooley will give a talk and teach a workshop on how she began without any records, stories or photographs and found enough information to recreate a family story and write a book, The McQueeneys: From Ireland to America. Participants brought a family photograph or record and had an opportunity to access ancestry records at the workshop. Margaret will assist participants in using vital records and photographs to begin to tell their family stories and make their own books. Crossroads offered our third annual event honoring the life histories of participants in the Crossroads Irish Oral History Archive of the San Francisco Bay Area. This afternoon gathering highlighted the individual stories of several Oral History Archive participants and created a space for audience members of this generation of immigrants to share their own stories. The Crossroads Irish-American Festival is creating the first-ever oral history archive of the Irish and Irish-American communities of the Bay Area. This oral history project is composed of audio and video recordings of individuals telling their own stories about their own experiences of emigrating to or growing up in the Bay Area. If you or someone you know would like to be part of this archive, please contact us at info@irishamericancrossroads.org. A special thanks to the Irish Government’s Emigrant Support Programme for its generous support of the Crossroads Irish Oral History Archive of the San Francisco Bay Area. Crossroads was pleased to partner with the USF College of Arts and Sciences in an afternoon highlighting premiere Irish-American writers of the San Francisco Bay Area and exploring the rich history of Irish-American writing in this region. Join us in celebrating current writers and excavating this literary landscape where Irish-Americans have been writing for over 150 years. Featured writers include: Catherine Brady, Terence Clarke, Linda Norton and Eddie Stack. This event is co-sponsored by the USF College of Arts and Sciences. Catherine Brady is the author of three short story collections, including Curled in the Bed of Love, winner of the 2002 Flannery O’Connor Award for Short Fiction, and The Mechanics of Falling, winner of the 2010 Northern California Book Award for Fiction. Her stories have appeared in numerous literary journals and anthologies, including Best American Short Stories 2004. She is also the author of a craft book, Story Logic and the Craft of Fiction, and a biography of a Nobel laureate, Elizabeth Blackburn and the Story of Telomeres: Deciphering the Ends of DNA. She is the Academic Director of the MFA in Writing Program at the University of San Francisco. Terence Clarke has published three novels: My Father in the Night, The King of Rumah Nadai and A Kiss for Señor Guevara, and two story collections: The Day Nothing Happened and Little Bridget and The Flames of Hell. Terry is Director of Publishing at Red Room Press. (www.redroom.com) His new novel The Notorious Dream of Jesús Lázaro will be published later this year. He lives in San Francisco. Linda Norton is the author of The Public Gardens: Poems and History (Pressed Wafer, 2011; introduction by Fanny Howe), a finalist for a Los Angeles Times Book Prize in 2012. She works at The Bancroft Library at the University of California, Berkeley. She grew up in Boston, lived in Brooklyn for many years, and now lives in Oakland. Go to thepublicgardens.blogspot.com for more information. Audiences enjoyed this remarkable opportunity to hear two highly acclaimed Irish poets, Patrick Cotter and Matthew Sweeney, read from their work. Patrick Cotter was born in Cork in 1963 where he still lives. His published work includes several chapbooks, the verse novella The Misogynist’s Blue Nightmare (Raven Arts Press, 1990) and the poetry collections, Perplexed Skin (Arlen House 2008) and Making Music (Three Spires Press 2009). His work has appeared in many anthologies including Separate Islands: Contemporary British and Irish poetry (Quarry, Ontario) Irish Poetry Now (Wolfhound) Jumping off Shadows—Some Contemporary Irish Poets (Cork University Press) The Irish Eros (Gill & Macmillan) The Backyards of Heaven (Newfoundland) Something Beginning with P (O’Brien Press) and in The Great Book of Ireland. His translations of the Estonian poet Andres Ehin are collected in the book Moosebeetle Swallow (Southword Editions). His play Beauty and the Stalker was produced at the Granary Theatre, Cork in 2000 and he has published short fiction in journals and newspapers. Matthew Sweeney was born in Lifford, Co. Donegal in 1952. He has lived principally in London from the mid seventies until the late nineties. Since then he has lived primarily in Berlin and Timosoara, Romania. More, he has settled in Cork in Ireland. Sweeney has published not only many poetry collections for adults but also several poetry collections for children and two children’s novels. Writing Poetry, which he co-wrote with John Hartley Williams, appeared in 1997, and he has co-edited two anthologies of poems. He has held several fellowships and writer-in-residence positions, most recently at University College Cork. He won the Prudence Farmer Prize in 1984, the Cholmondely Award in 1999, a Henfield Writing Fellowship in 1986, and several bursaries from the Arts Councils of Ireland and England. He was nominated for the T.S. Eliot award for Black Moon (2007). Horse Music Bloodaxe 2013 is his most recent collection. A special thanks to Culture Ireland for its partial support of this event. Audiences joined us to hear two of Ireland’s finest musicians. 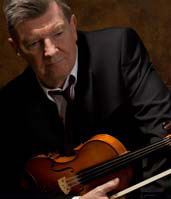 Virtuoso fiddle player, Kevin Burke, has been on the forefront of traditional music for over 30 years, while John Carty, recipient of the Traditional Musician of the Year Award, is one of the most accomplished Irish multi-instrumentalists alive today. John Carty is one of Ireland’s finest traditional musicians having been awarded the Irish Television station, TG4’s Traditional Musician of the Year in 2003. Carty has three solo fiddle albums, two banjo albums, two group albums and a sprinkling of recorded tenor guitar and flute music recordings under his belt. Born in London, John has established himself among the elite in Irish traditional music and as a staunch supporter of its preservation. Carty developed his love for fiddle, banjo, and flute, all of which he has mastered, through his multi-instrumentalist father who was a member of the Glenside Ceili Band in London in the 1960’s. With a firm foundation of both talent and knowledge of the tradition, John has been a welcome addition to many of the great bands of today, including Patrick Street, The Chieftains, and DeDanaan, as well as his remarkable solo career.